Researchers at the University of Southampton studied over 1800 three-year-old children, some with and some without ADHD, some with and some without allergies. After initial behavioral testing, all of the children got one week of a diet without any artificial food colorings and without any chemical preservatives. The children’s behavior measurably improved during this week. But was this from the extra attention, from eating more fruits and vegetables , or from the absence of the preservatives and artificial colors? To answer this question, the researchers continued the diet, but gave the children disguised drinks containing either a mixture of artificial colorings and the preservative benzoate, or similarly colored drinks from natural food sources. The results were published in the June 2004 Archives of Diseases in Childhood13. The weeks that children got the hidden chemicals, their behavior was substantially worse. This held true whether or not they had been diagnosed with hyperactivity, and whether or not they had tested positive for allergies – good news for parents everywhere! 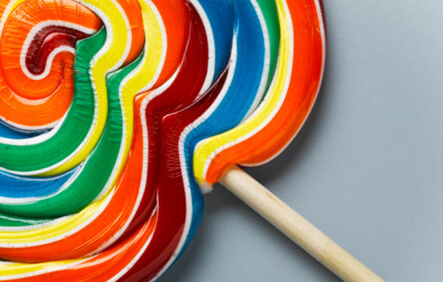 Removing artificial colors and preservatives from the diet was dramatically effective at reducing hyperactivity-somewhere between the effectiveness of clonidine and Ritalin, two prescription ADHD drugs. How much better to support children’s mood and behavior with healthy food, than with drugs! Some children may still need medicine, but with a healthy diet , we may be able to use lower doses. And it stands to reason that this diet would be better for all children, whether or not they have behavior problems.